Travertine and Limestone look incredibly beautiful in showers. They add that extra appeal, and provide a soft accent that makes bathrooms feel more inviting and serene. If well cared for, they will last a lifetime. They do require regular maintenance, depending on how often they are used. I am going to share a few tips for caring for your travertine shower or limestone shower, assuming it is in your master suite and the shower is used daily. Acidic cleaners, such as vinegar, toilet cleaners, and scrubbing bubbles will etch the surface of your shower, and can be very costly to fix. Bar soap is a solid soap that liquefies when wet, sure. However, when it is rinsed off the body, residue is left behind that will solidify when moisture evaporates. Over time, it will be nearly impossible to remove. Use the squeegee after each shower, before you get out. 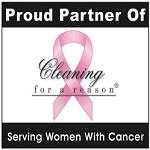 It only takes a minute or two, and will keep heavy buildup of scum and hard water at bay. After you squeegee, use a towel to dry all corners and the floor to prevent mold. If your shower is not open at the top, leave the shower door open until it is dry. Lingering water is a breeding ground for bacteria and mold, and paves the way for permanent damage. Keep a good, quality cleaner on hand specially formulated for natural stone, and clean your shower weekly. We also recommend Dawn Dish Soap. That simple, blue formula is gentle enough for your shower, and works wonderfully on removing scum. 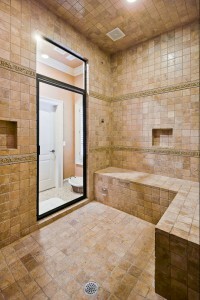 If you use your travertine shower or limestone shower daily, you will need to reseal it every 6-12 months. If you have a guest shower that rarely gets used, it can usually wait 3-7 years. Talk to a professional installer about having it done, and how you can reseal yourself if you want to save on costs. Be warned, though: resealing it yourself is very time consuming, and if not done completely by the book, can leave an unsightly and/or ineffective finish.